How Does Hydroponics Work? Find the best information from start to finish and the basics of how hydroponics work. What is Hydroponics Gardening ? The term hydroponics collectively refers to methods of growing plants using nutrient solutions without the use of soil. The term hydroponics does not specifically reference a technique in itself, but rather encompasses several different growing techniques. 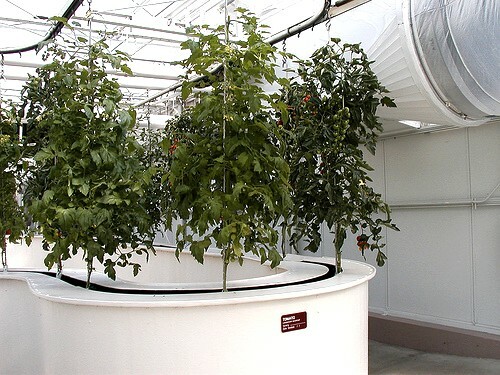 Although hydroponics is not limited to indoor gardening, it is very popular with indoor gardeners . Hydroponic gardening can be done using natural light, or artificial light (grow lights). So, how does hydroponics work?....Hydroponic gardening achieves all the same goals as conventional gardening, but with a different approach. Plants need things. Plants need water, sunlight, and nutrition . Plants absorb water and nutrition through their roots. In nature, soil acts much like a "sponge" for water and nutrients. It "holds" the water and nutrients within reach of the plants roots. The soil itself isn't consumed by the roots. Strictly speaking, if the plants roots receive all the things that they need, soil isn't necessary at all. Although hydroponic gardening techniques may be quite different, they all share a common link... They delivery water and nutrients to the roots of plants. Although soil is typically not present in hydroponic gardening, the plants are often given a "medium" in which to live. This usually has more to do with physical support of the plant, rather than nutrition. Several different approaches on how to grow hydroponics have been explored over the years. No "one" approach is best. Some plants will react more favorably with different techniques . Check out our illustrations of the below Hydroponic System Plans . Immersion/Static Solution: This technique describes growing plants where the roots are constantly immersed in a nutrient solution. Typically, the nutrient solution will be oxygenated by an aquarium-style air pump. Continuous Flow Solution: Continuous Flow is similar to immersion, but the solution is constantly moving past the roots of the plants. NFT: ( NFT Hydroponics ) Nutrient Film Technique is similar to continuous flow, but has one important difference: The roots are not totally immersed in the nutrient solution. Rather, the roots are primarily surrounded by air (to allow oxygen uptake), and have a thin "film" of nutrient solution running in the bottom of the channel. Drip Systems: Drip style hydroponics generally consists of delivering nutrients to a plant via a "dripping" mechanism. Typically, a pump is used to move nutrient solution above the roots, where it will "trickle down" over the plant's roots. Ebb & Flow: Ebb & Flow is a fancy way to describe a "flooding" system. Typically the plants sit in a water-tight tray. On a predetermined schedule, the tray will flood with nutrient solution. This cycle allows the plants to uptake water and nutrients, but also have "dry" cycles where they can uptake oxygen. Ebb & Flow is a great starting point for beginners, as it requires minimal equipment, and is compatible with most plants. Aeroponics: Aeroponics is an advanced hydroponic technique where the roots of the plant "hang free". Typically, plants reside in "net pots", which allow the roots to hang down in open air. The roots are sprayed with nutrient solution. This spraying process delivers highly-oxygenated nutrient solution directly to the roots of the plant. Not all plants are compatible with aeroponics, but in the cases that it's viable, it can produce amazing results. If your still wondering "how does hydroponics work?," check out our illustrations of the above Hydroponic System Plans . Seeing may be all you need. How Does Hydroponics Work With Nutrients? Many ask, how does hydroponics work with only nutrients? When growing plants hydroponically, you need to remember that your plants depend on you for everything . In nature, lots of minerals and nutrients are made available to plants through the soil...Or more specifically...rainwater deposits lots of minerals and nutrients into the soil, which the plant can consume. Since your water reservoir is the plants exclusive source for nutrition, you need to provide your plant with what it requires. There is a booming industry that manufactures nutrient mixtures for hydroponic growing. There is no "right" choice, it all depends on your situation, plants, and growing technique. How Does Hydroponics Work With Growing Mediums? Same thing here. Many ask, how does hydroponics work without soil? Still a good question!! A medium. Hydroton/Expanded Clay: Expanded clay looks a lot like brown marbles. It's very porous and retains water very well. Expanded clay is very popular due to it's low cost and great results. Rockwool: Rockwool is the generic name given to a "spun" volcanic rock material. Rockwool looks and feels a lot like a rock mixed with fiberglass insulation. It is quite lightweight and retains water easily. It is very popular in hydroponics due to it's low cost and wide range of uses. Coco: The coco growing medium is made from coconuts. It is entirely natural and quite environmentally friendly. Perlite / Vermiculite: Perlite and Vermiculite are both super-heated and expended forms of minerals used as a planting medium. Both are also used in conventional container gardening. Sand: Sand is not widely used as a direct medium. Although it is quite inexpensive, it does not provide good "flow through". 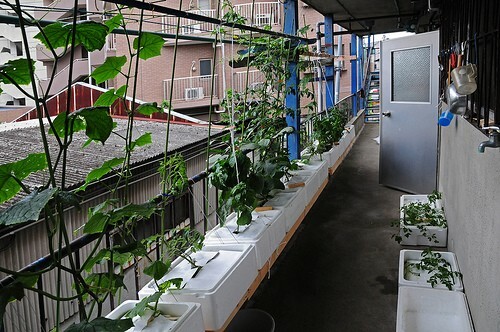 Fortunately, it's become much easier in recent years to experiment with hydroponic gardening. Many companies manufacture small entry level units that are geared toward the beginner.